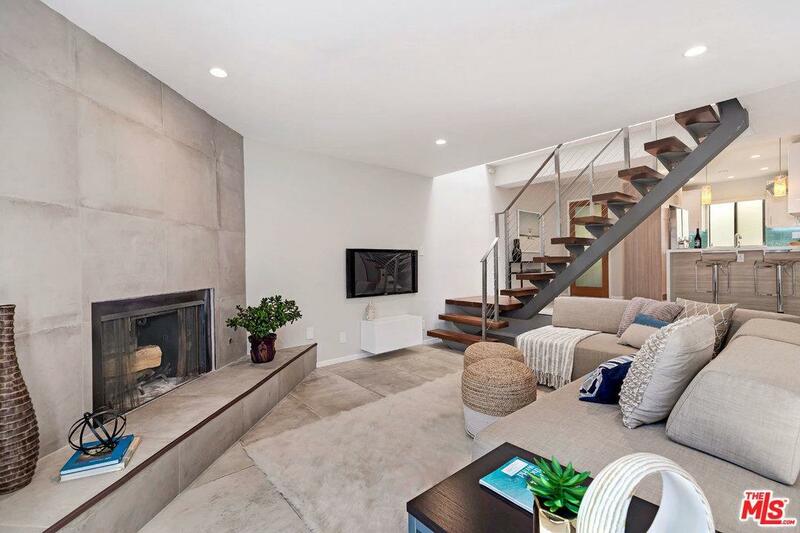 Beautifully renovated townhome in the heart of Santa Monica. Conveniently located near restaurants, coffee shops, the famous 3rd Street Promenade, and beach. The main living level features an open floor plan that seamlessly ties together the kitchen, living room and outdoor patio. Enjoy the weather year-round on the outdoor patio complete with retractable awning. The completely remodeled kitchen boasts stainless steel appliances and quartz countertops to name a few upgrades. Light flows down the floating staircase from the skylight above leading to the second level with 2 bedroom suites complete with walnut hardwood floors, vaulted ceilings, and tremendous closet space. Bonus room with laundry and additional storage has direct access to the 2-car garage on the lower level. Smaller 6-unit building. Don't miss out!